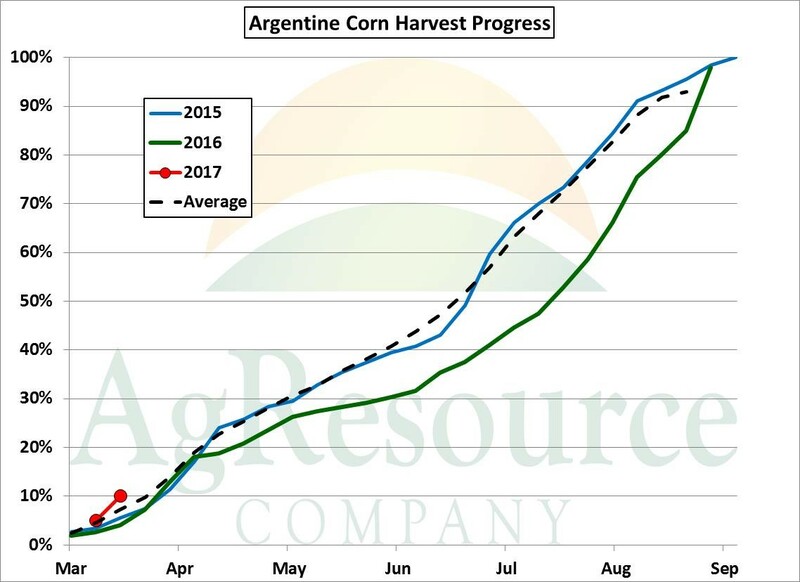 Argentina’s (record) corn harvest is underway, and steady progress is expected in the next several months. The graphic below displays seasonal harvest progress, and notice that to fully gather the crop takes some 5-6 months. However, as of last week, progress reached 10% complete, vs. 4% on the same week last year and 7% on average. Without threats to harvest, Argentina is expected to begin its new crop export campaign by mid- to late April. And, currently, there simply are no threats on the horizon. The lack of excessive heat has had a particularly positive impact on yield, and updated vegetation health maps have aligned rather well with weekly growing conditions. 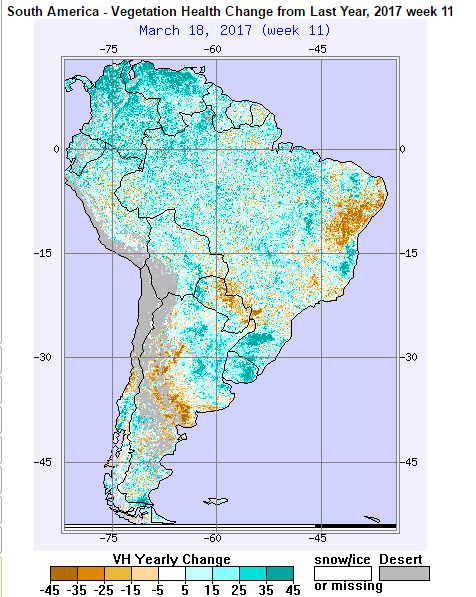 Below, it’s easy to see how much better crop health is compared to last year, and also notice that the whole of South America is in much better shape than what was seen in early 2016. 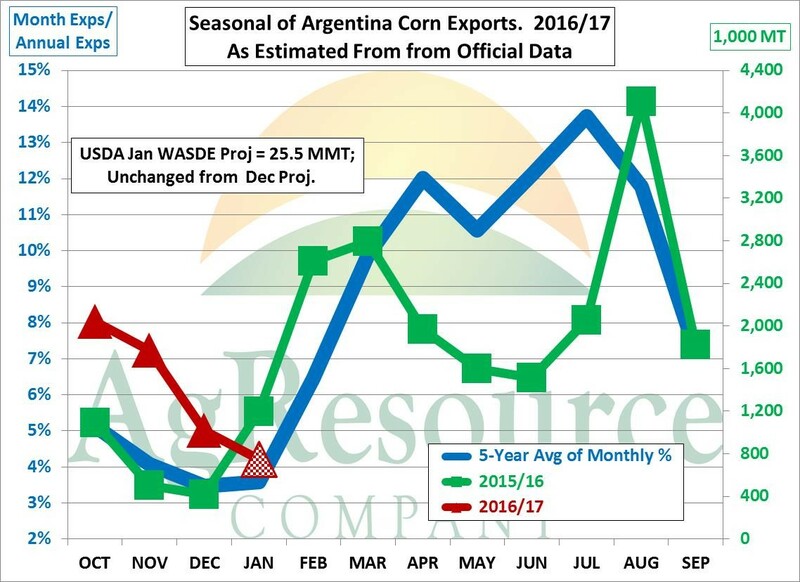 The graphic below charts the seasonality of Argentine corn exports, and as Argentina is by far the world’s cheapest feed grain for summer delivery, the US market will be forced to better compete with other world grain supplies moving forward. Perhaps a 30-day window still exists for elevated US export demand, but thereafter a slowdown in weekly sales & shipments is expected. It’s unfortunate, but Argentine corn is currently offered $.25-.30/Bu above July futures for summer arrival, and Gulf basis hasn’t been that low since 2008.